biewerhouse.com - The sun has set on grooming products that make your best friend itch and scratch! that make your best friend itch and scratch! 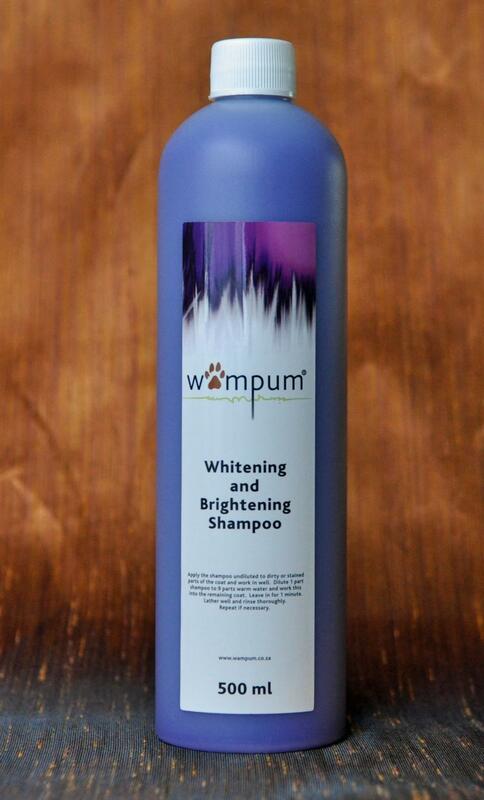 Wampum® Products are formulated using only FDA approved ingredients. 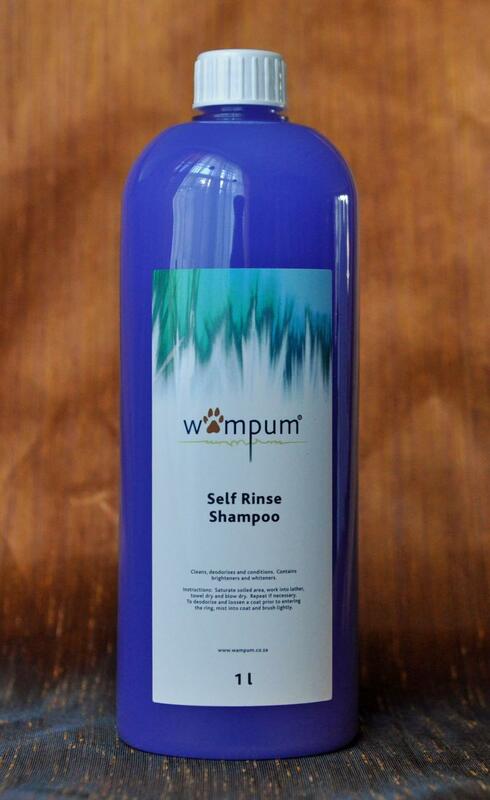 None of Wampum products are fragranced, as the essential oils in fragrances are one of the main sources our of skin ailments and allergies. 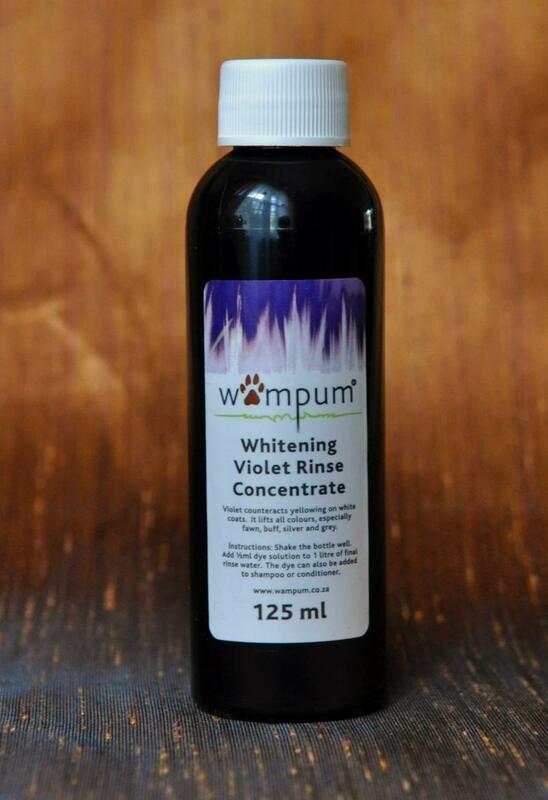 Wampum® Products were not developed to compete with any existing range of pet products. 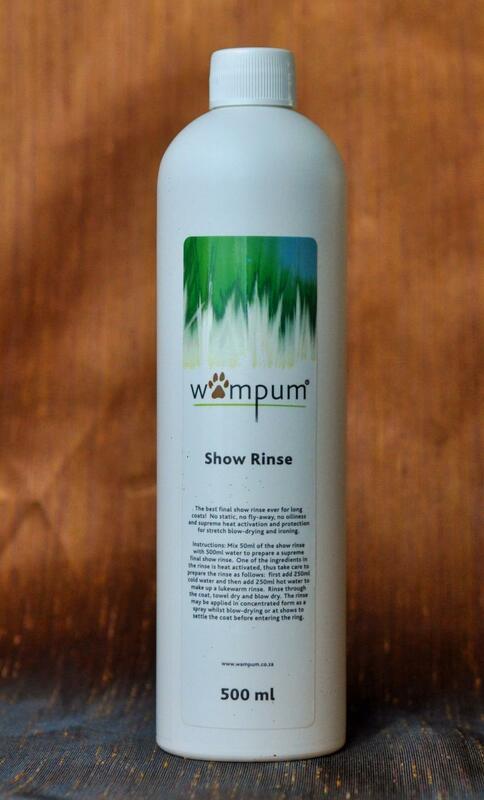 Wampum products were all formulated for show animals, but they are equally suitable for pets and companion animals. 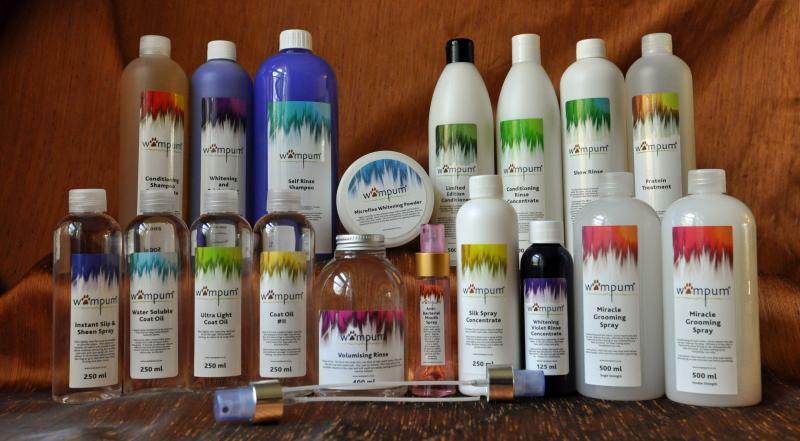 The range is a high quality range containing the best, safest and most expensive ingredients available. 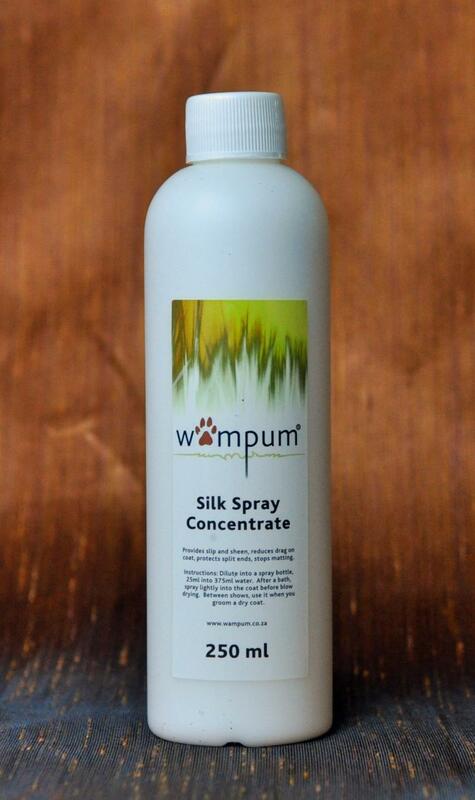 An extremely mild and gentle, high-foaming, nourishing shampoo containing a skin refatting agent. 100% coconut oil based. Hypoallergenic, antistatic and biodegradable. 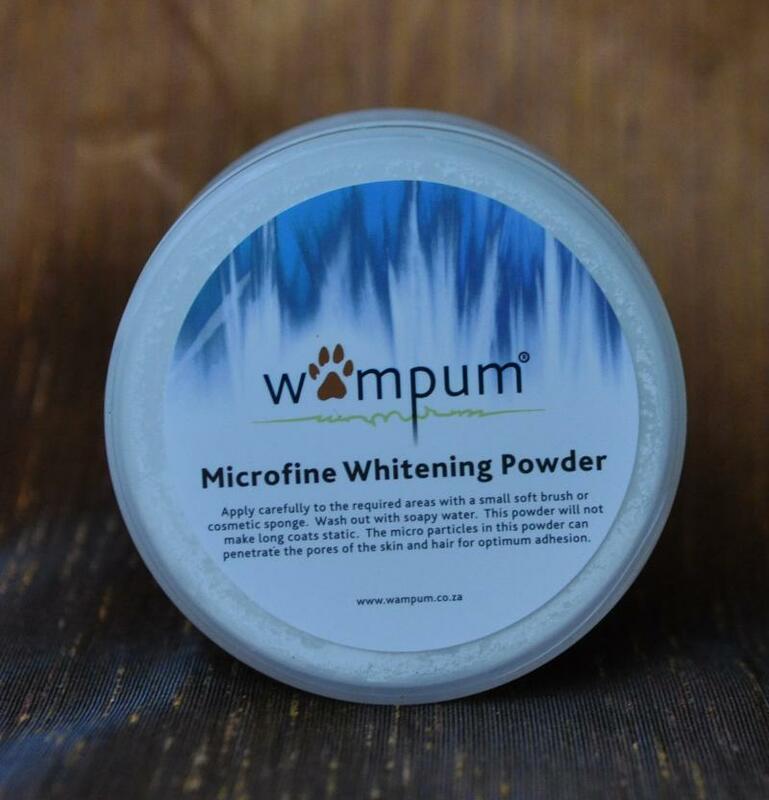 Ideal for long coated breeds and very sensitive skins. Instructions: Rinse the coat thoroughly with lukewarm water. Dilute the shampoo by mixing one part shampoo with four parts warm water. Apply to wet coat and lather well. Rinse thoroughly. The first non-stripping whitening shampoo. You will never use another whitening shampoo once you have used this one. 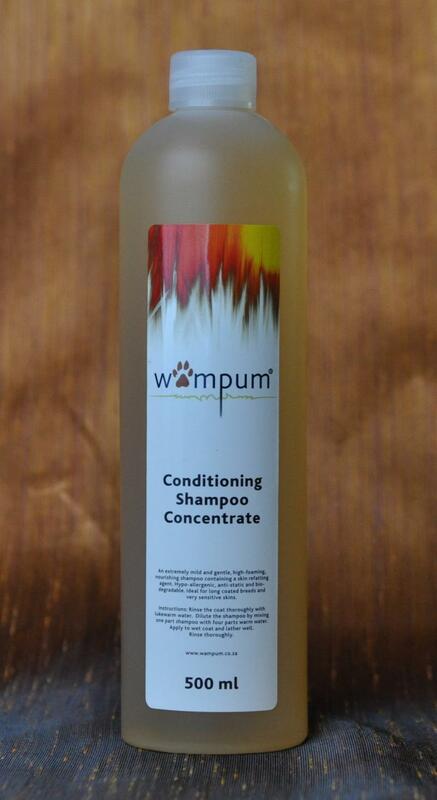 The shampoo works equally well on colours and is especially suited for coats containing colours other than white. The violet brightener counteracts yellowing on the white parts and the optical brightener brightens all colours, enhancing the contrast between different colours in the coat. Five carefully blended surfactants clean away all debris and rinse with ease leaving the coat shiny without the skin being stripped of all its natural oils. The shampoo also contains a special pore cleansing agent which, according to the published scientific literature, will aid in the prevention and treatment of hot spots. Instructions: Apply the shampoo undiluted to dirty or stained areas and work in well. Dilute 1 part shampoo to 9 parts water and work this into the remaining areas. Leave in for 1 minute. Lather well and rinse thoroughly. Repeat if necessary. Cleans, deodorises and conditions. Contains brighteners and whiteners. Instructions: Saturate soiled area, work into lather, towel dry and blow dry. Repeat if necessary. To deodorise and loosen a coat prior to entering the ring, mist into coat and brush lightly. A super antistatic conditioner. Makes the hair limp, soft and glossy. Contains protein, humectant and pro-vitamin B5. An ideal leave-in conditioner for show days and between shows. 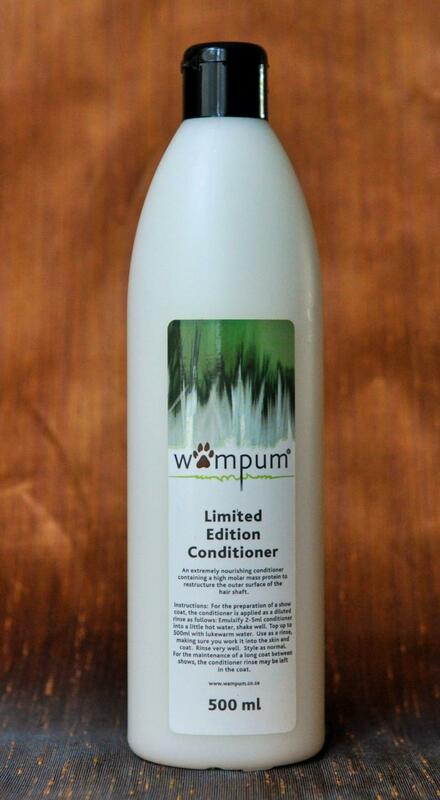 Instructions: Emulsify 25ml conditioner into a little hot water, top up to 500ml with lukewarm water. Use as a rinse making sure you work it into the skin and coat. Do not rinse out. Towel dry, blow dry and style as normal. An extremely nourishing conditioner containing a high molar mass protein to restructure the outer surface of the hair shaft. Instructions: For the preparation of a show coat, the conditioner is applied as a diluted rinse as follows: Emulsify 2-5ml conditioner into a little hot water, shake well. Top up to 500ml with luke-warm water. Use as a rinse, making sure you work it into the skin and coat. Rinse very well. Style as normal. For the maintenance of a long coat between shows, the conditioner rinse may be left in the coat. The best final show rinse ever for long coats! No static, no fly-away, no oiliness and supreme heat activation and protection for stretch blow-drying and ironing. The show rinse can be used on its own or can be added to your existing final rinse solution. Instructions: Mix 50ml of the show rinse with 500ml water to prepare a supreme final show rinse. One of the ingredients of the rinse is heat activated, thus take care to prepare the rinse as follows: first add 250ml cold water and then add 250ml hot water to make up a luke-warm rinse. Rinse through the coat, towel dry and blow dry. The rinse may be applied as a spray whilst blow-drying or at shows to settle a coat just before entering the ring. Dilute 25-50ml of the rinse into one litre of luke-warm water. Rinse well into the coat and undercoat. Dry coat as normal. 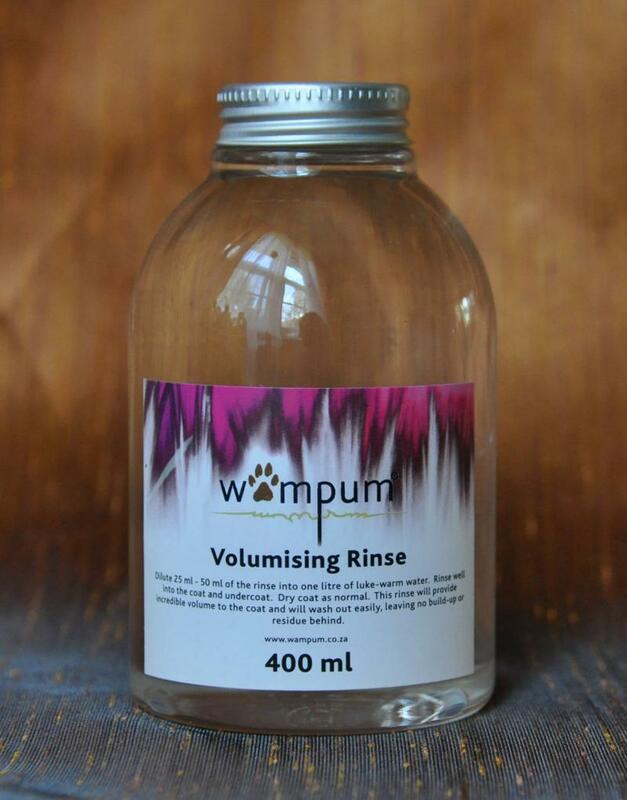 This rinse will provide incredible volume to the coat and will wash out easily, leaving no build-up or residue behind. 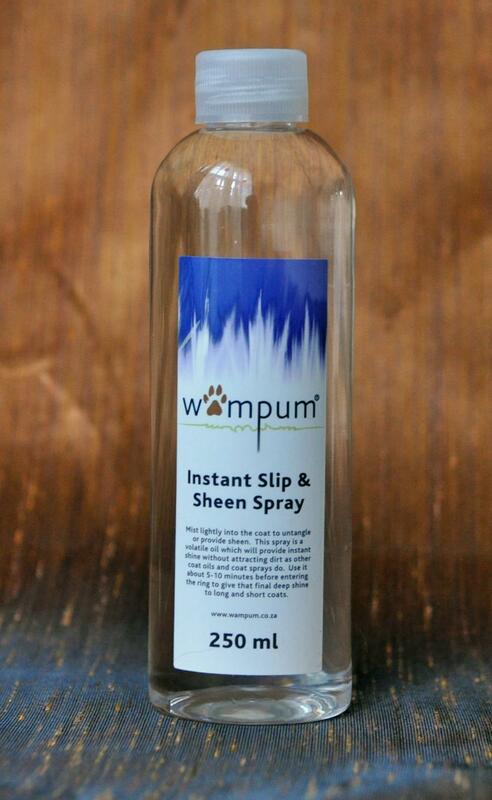 Instructions: Dilute into a spray bottle, 25ml into 375ml water. After a bath, spray lightly into the coat before blow drying. Between shows, use it when you groom a dry coat. Conditioning and antistatic. Gives superb wet and dry slip. Reduces fly away. Efficiency of dry slip is improved by blow drying as the components are heat activated. An ideal ironing spray. Completely non-oily. 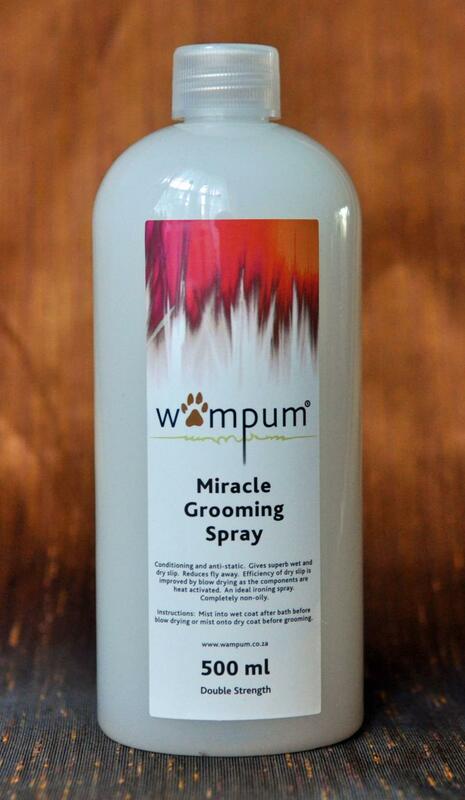 Instructions: Mist into wet coat after bath before blow drying or mist onto dry coat before grooming. entering the ring to give that final deep shine to long and short coats. matting. An ideal oil to wrap with. 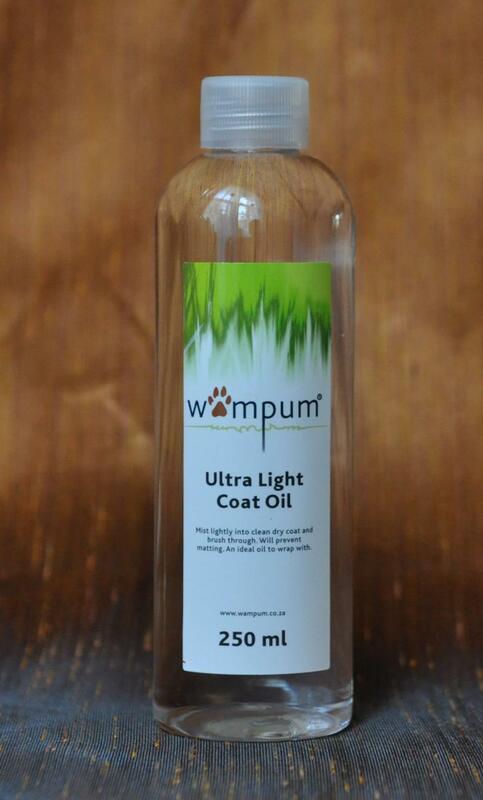 Wampum coat oils do NOT contain mineral oil. 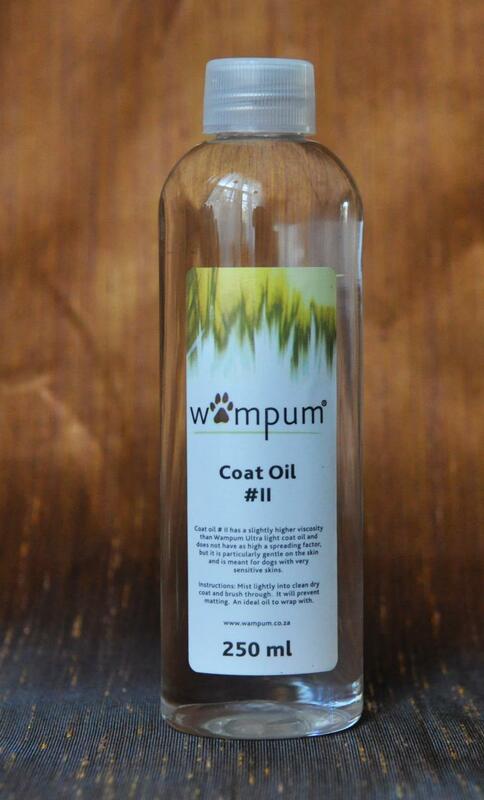 Coat oil # II has a slightly higher viscosity than our Ultra light coat oil and does not have as high a spreading factor, but it is particularly gentle on the skin and is meant for dogs with very sensitive skins. 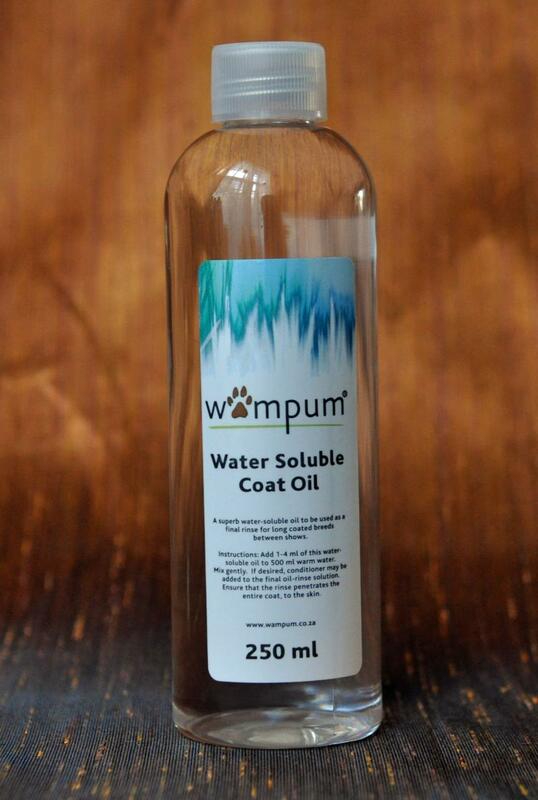 Add 1-4ml of this water-soluble oil to 500ml warm water. Mix gently. Use this as a final oil rinse for long coats. If desired, a combination of oil and conditioner, may be added to the final rinse solution. Don’t just pour the rinse over the top of the dog, make sure the rinse is worked into the coat, right to the skin, and underneath. Instructions: Mix 100ml of this treatment with 400ml of lukewarm water. Apply to the wet coat after shampooing. Wrap the coat in a towel and keep warm for 10 minutes (longer for hair that has to feel coarse to the touch). Rinse and condition or style as normal. 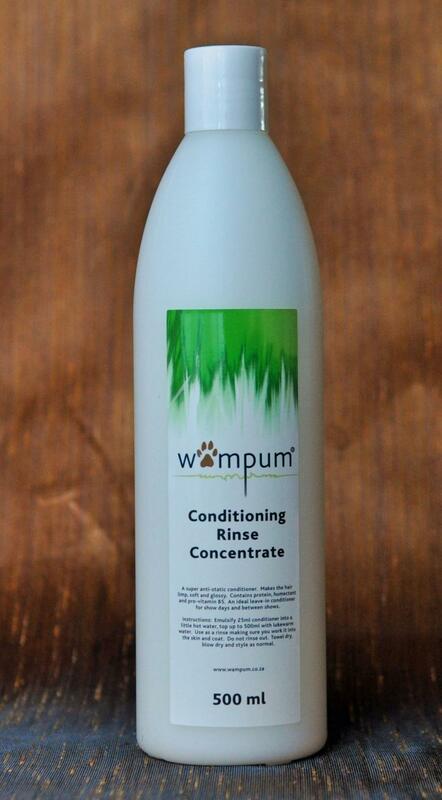 The protein in this rinse-out treatment is the best and most expensive functionalized protein available for hair care. 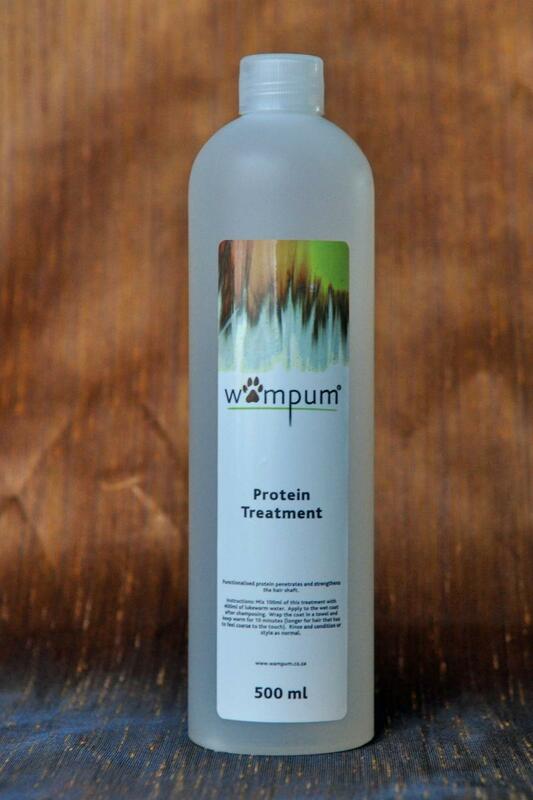 The protein is a relatively small molecule and can penetrate the hair shaft to strengthen it. 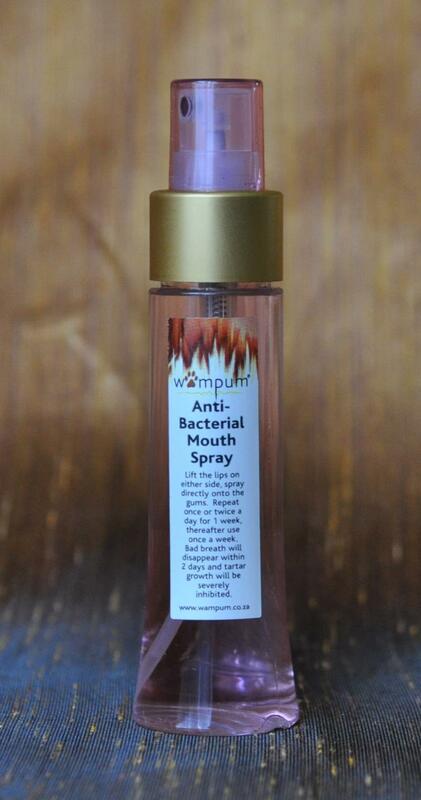 Lift the lips on either side and spray onto the gums and teeth. The active ingredient in this spray kills the bacteria that forms plaque and will take away the bad odour associated with it. Use after the teeth have been brushed and daily if necessary. 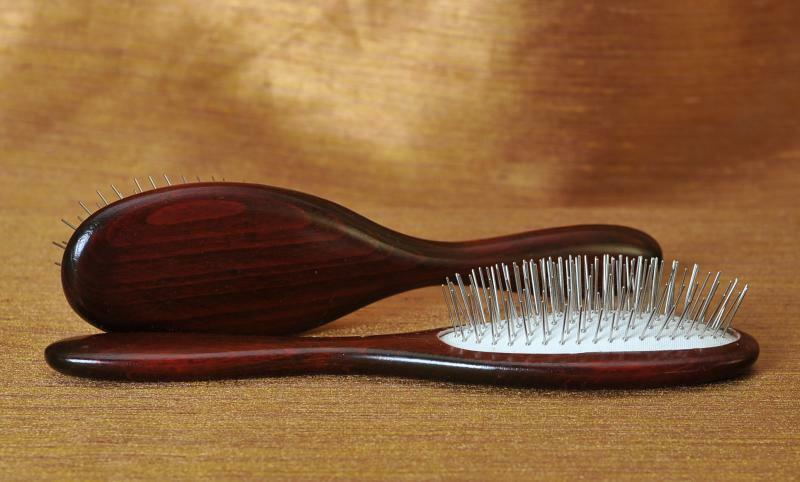 pores of the skin and hair for optimum adhesion. Violet counteracts yellowing on white coats. It lifts all colours, especially fawn, buff, silver and grey. Instructions: Shake the bottle well. Add ½ml dye solution to 1 litre of final rinse water. The dye can also be added to shampoo or conditioner. 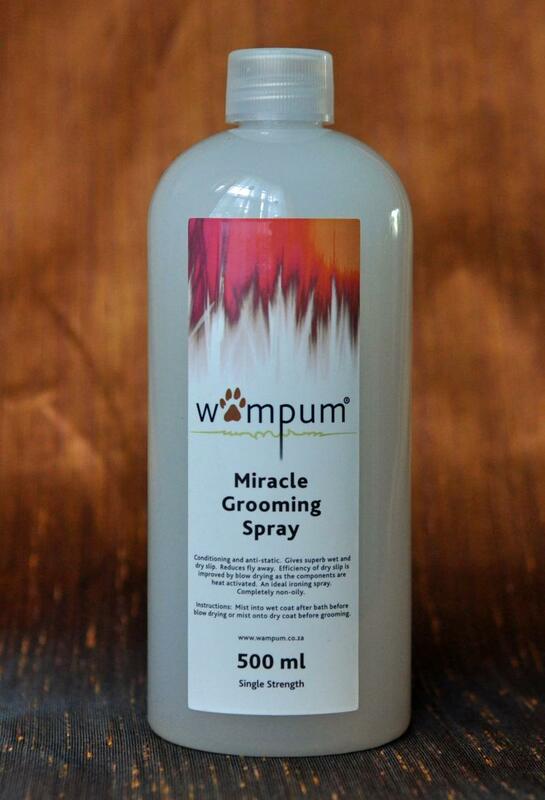 No Wampum Grooming Products can be sold or shipped to South Africa.